The last thing you want to be doing when you are going on holiday is stressing about parking your car at the airport or getting to your hotel when you arrive. Make sure you relax when you get away and plan ahead - and earn cashback rewards on transfers and parking. Book airport parking and hotels at Holiday Extras. Search deals for Gatwick Airport, Birmingham or Heathrow and earn cashback. Browse airport parking at SkyParkSecure. Book parking at Manchester Airport, Gatwick Airport, Birmingham Airport or Glasgow and earn great cashback. Book airport parking with Airparks. Get deals on Manchester Airport, Heathrow and Gatwick parking, airport lounges, travel insurance and get cashback. Book airport parking at Heathrow and over 25 other UK airports with Purple Parking. Get a quote and book online and earn top cashback rewards. Book parking and hotels at Gatwick, Stansted, Birmingham, Luton and other UK airports with APH Airport Parking & Hotels and earn cashback. Pre-book your space with Heathrow Airport Parking and get the best deals. Get closest to the terminals, book short and long stay and earn cashback. Book car parking at Manchester Airport, East Midlands Airport, Bournemouth and Stansted Airport with Manchester Airports Group and earn top cashback. For Gatwick Airport parking, book at Official Gatwick Airport Parking. Book long stay and short stay, budget and premium parking and earn cashback. Pre-book your parking with NCP. Book airport parking and city centre parking, buy season tickets, pay for your parking by mobile and earn cashback. Pre-book short and long stay official parking at Stansted Airport. View budget and convenient meet and greet and valet parking and earn top cashback. Book airport parking at Looking4Parking Ltd. Find Manchester Airport parking and Gatwick parking, as well as parking in Barcelona, and earn cashback. Visit BCP Airport Parking for park and ride and meet and greet parking at Manchester, Birmingham and Heathrow. Buy travel insurance and earn cashback. Book airport parking and hotels with FHR. Browse holiday insurance, as well as Gatwick parking and Manchester airport parking, and earn cashback. Getting from A to B in a foreign country can often be a stressful experience, especially if you aren't familiar with the local culture. Tourists are..
Book convenient and safe short-stay and long-stay options with East Midlands Airport Parking. Book meet and greet or JetParks and earn great cashback. Book airport lounges and parking at No.1 Lounges. Shop for VIP departure services, chauffeur-drive and travel spas and earn cashback rewards. Book airport transfers in Amsterdam, Spain or Portugal at Suntransfers.com. Secure a city break, ski or beach resort taxi in Italy and earn cashback. 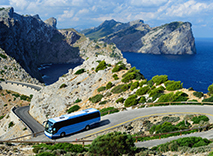 Buy travel insurance, airport parking and car hire at Essential Travel. Book for Heathrow, Birmingham, Manchester and Glasgow and earn top cashback. Airport parking with holiday extras, book online now! Join the 4 million happy customers. Go to deal now!